CONGRATULATIONS Wapiti Nordic Ski Club!! Most Improved Medium Sized Club 2017-2018 in all of Canada!! 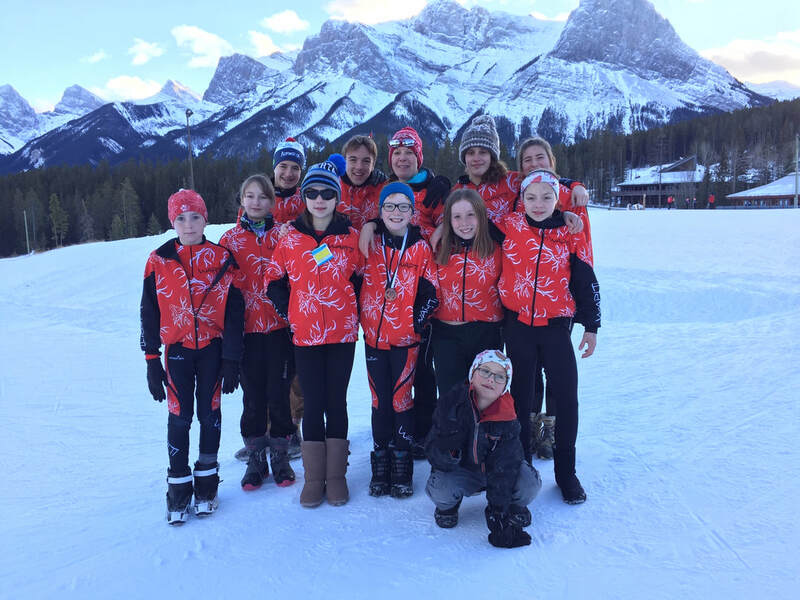 ​December 1, 2018 Update: The race team (22 athletes this year) has been busy training and had our first provincial races the last weekend of November, in Canmore. The team (11 athletes) showed wonderful results and that the preparations they did over the Summer and Fall are paying off!! Aidan Armstrong wore the leader bib for his age category and it looked great on him with his Wapiti race suit and two gold medals around his neck! Liam Tinworth - biathlete and race team member won a silver medal, missing gold by 1 second! Makena Pruden, a WNSC member, former Wapiti athlete, now racing with Canmore Nordic, raced herself a silver medal, as well as Mika Richter winning two silver medals and Colson Udey (junior race team) won a silver medal! The junior race team official starts Jan 1, 2019 and are looking for a few (4max) more members to join. The cost is $450 which includes coaching 3x/week from Jan 1-March 31 and coaching at the Alberta Cup race in Drayton Valley, Feb 16/17, 2019. Athletes are to be aged 8-10 and have skiing experience with a want for speed and interest in racing! For more information or questions, please contact Claire: 780-933-0853.